College of Automotive Engineering, Shanghai University of Engineering Science, No. 333 Longteng Road, Shanghai, Postcard: 201620, China. Energy absorption performance is one of the most important indexes in the vehicle safety during impact. 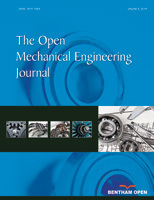 Research on the car frontal structure energy performance and structure optimization was conducted in this paper. Whole vehicle model was established by HyperMesh and simulated in LS-DYNA. Simulation results indicated that modification was needed for the original structure to meet the industry requirements. Based on simplified whole vehicle model, orthogonal design optimization was implemented, including bumper cross beam material (A), bumper cross beam thickness (B), energy absorber groove distance (C), and front longitudinal beam groove number (D), with 3 levels for each factor. The best option was B3D1A3C3 which was gained by using range analysis and integrated balance method. Simulation results showed that both front and total energy absorptions were improved. The optimized structure increased front energy absorption to 51.1%, which can meet the industry requirement.